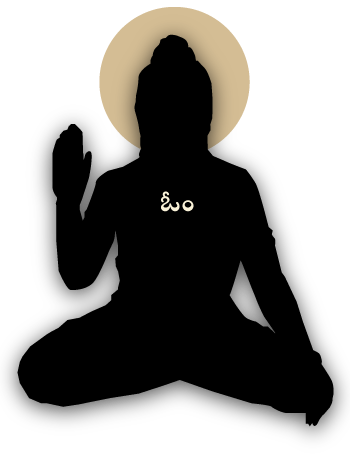 This Website is an online resource and repository for the years of research and works by Sadguru Sri ChalapathiRao on spiritual and holy subjects such as the Vedas, Upanishads, Prakarana Texts, Bhagavad Gita, Bhakti, Maha Bharatam, etc. Sri Devisetty ChalapathiRao was born on 12th Sep. 1946 in Turlapadu village in Guntur District of Andhra Pradesh, India. They adopted Chilakaluripet as their place of residence. Even at the age of 12, Rao developed keen taste for religious classics like Ramayana, Mahabharata and Bhagavatam and studied them with great interest. He has a special liking for Mahabharata and made an intensive and indepth study of the text for about 20 years. And this enabled him to give serial lectures on it in Chilakaluripet for 5 years. From 1990 he has been organizing ‘Satsangas’ and giving discourses on religious texts like ‘Bhaja Govindam’, ‘Tattva Bodha’, ‘Esavasyopanishad’, ‘Bhagavad Gita’ etc. In 1994 he established ‘Adhyatmika Jnana Peetham’ and has been conducting ‘Satsangas’ under its banner. He delivered lectures on ‘Bhagavad Gita’ for 3 years 3 months and on Sankaracharyas ‘Viveka Chudamani’ for 4 years, and created a healthy environment of spiritualism around him. From 1996 Sri chalapathirao has been giving discourses in several places on Bhagavad Gita, Upanishads, Vedanta prakarana texts, Brahma Sutras, Mahabharatam, Bhagavatam etc under the schema of ‘Jnana Yajnas’. With a view to bring even the intricate matters of philosophical content within easy perception of ordinary readers, he wrote several books entitled 'Karma Siddhantam', 'Bhaja Govindam', 'Esavasyopanishad','Kenopanishad', 'Bhagavad Gita', 'Upadesa Saram', 'Sri Dakshina Murty Stotram' in Telugu and got them published.